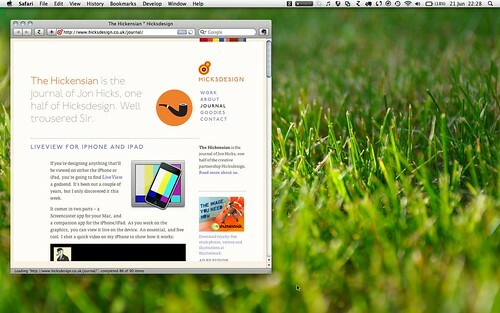 Celebrating 10 years of Hicksdesign with The Icon Handbook! What a way to celebrate 10 years of Hicksdesign (to the very day) – my advance copy of The Icon Handbook arrives! I’m actually holding it in my hands! It has pages that turn with words (what I wrote) and pictures on them! It looks and smells flippin’ gorgeous! If you’ve been waiting for the print version to be available before purchasing, now is your time to pick up a copy! 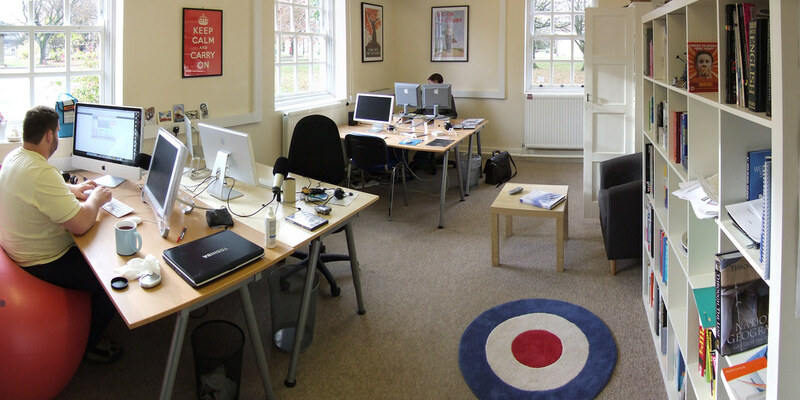 Renting a desk at local design company Miller, Craig and Cocking in Long Hanborough. Sharing office space with John Oxton, Jon Dennis and Simon Clayson at Upper Rissington (where the Rissington Podcast was of course born). 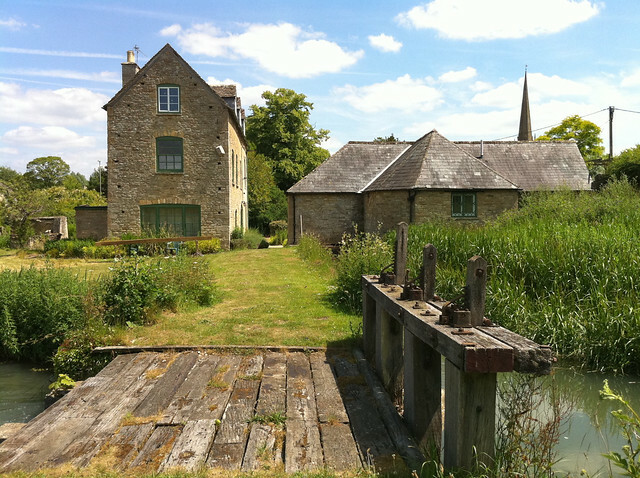 Sharing office space with the Rissington crew, plus my wife Leigh, and Tim Barry at the idyllic ‘Webble Mill’ in Burford. Sharing with other freelancers is a great way to get company, share the costs (and therefore get a nicer place to work than you could alone) and confuse others who can’t understand how people ‘in competition’ can share together. The nature of freelancing is that people move on and move away though, and it’s all change again. It’s been an absolute joy to work with John, Simon and Tim – you’re top chaps, and I miss you all. Now, after 5 years of working at places only accessible by car, we’ve (Jon Dennis and new office mate Matt Hamm) found a new studio just over a mile away in the centre of Witney. From now on, when I refer to ‘No 73’ I’m talking about the new office, with a nod to the 80s children’s TV series for those that remember it. I can now walk (20ish mins) or cycle (just under 10 mins) to work. No traffic jams or petrol station stops. Apart from the financial savings, the pace already feels better, and once again I’m sharing with people that make me feel lucky. I also love living and working in Witney – it’s a great little market town. I’ve been wanting a fluid layout on this site for about 5 years. I had a brief redesign back in 2005 where I flirted with it for a few months, but it was soon switched back to fixed as I couldn’t get it right. Last year, I discovered CSS media queries while working on the internal pages of the Opera Browser, and tried to implement it here. It was half-assed and was removed, again after a few months. It took Ethan Marcotte’s excellent article for A List Apart Responsive Web Design to motivate me to do it properly, as well as know HOW to do it properly. I don’t think I’ve read anything as exciting and inspirational for a long time. So I started from scratch, working on the basic skeleton of the layout, getting the various resolution dependant layouts in place, before re-implementing the design (making a few changes long the way of course). For now, only the journal has been re-jigged, but all the other sections will follow as soon as time allows. It won’t be perfect, and I expect there to be plenty of fine-tweaking for a while yet. Waiting until it’s perfect before launching just means it won’t happen! Over the last couple of weeks, I’ve had a chance to do some housekeeping on Hicksdesign. Implementing Matthew Tretter’s genius new approach to Vertical Centering, updating the portfolio and improving images like tree footer on this page (that were a bit too slapped together initially). I’ve also been considering a redesign, which I’ve since abandoned, but elements from that are sneaking in. There’s still a lot I want to do, but I’ve had a couple of emails asking about the change in corporate typeface, so I thought I explain that. For a while now, I’ve been unsatisfied with my use of Chalet Paris 1970, the curvular font used previously on Hicksdesign. Instead, I’d been looking for something that would be unashamedly ‘British’ in feel, without relying on Gill Sans. I purchased the DF Ministry family to use as a body face in all my documents, but still felt I needed a stronger identity for headings and the logo. In the end, I went with ‘London Underground’ by P22. It’s a faithful reproduction of Edward Johnston’s original typeface, developed in 1916, rather than the ‘New Johnston’ redesign conducted in the late 70s. It retains the character of the original, which I felt was lost a little in the later redesign. While there were a few sans-serif faces back in 1916, they were rare, and the I still find it hard to imagine that such a radical typeface was created during WWI. I’d always lumped this typeface along with Gill Sans, for being ‘too obvious’ a choice, but I’ve changed my mind, and I’m really happy with it! Its always exciting to get new 'stuff' printed - more so when its for yourself, and there are no mistakes (unlike the last lot had done 4 years ago)! 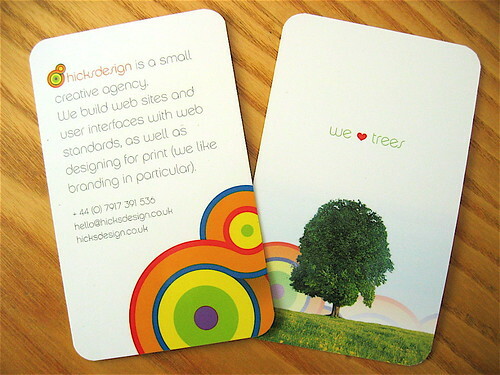 Now I've got to spend the weekend with the rounded corner punch (available from here) to get them all rounded like this! New Icons: Mark page, Next Mark, Previous Mark, Favourites Folder, News Feed Folder. Thanks go to Dan Carson who created the ‘Mark page’ and ‘Favourites folder’ icons. Added ‘small size’ icons for the main toolbar icons. Added the large bookmarks image for the tab drawer. It no longer replaces the Omniweb application icon. Workspaces window- Changed from a ‘utility’ window to a normal one, with margins removed. 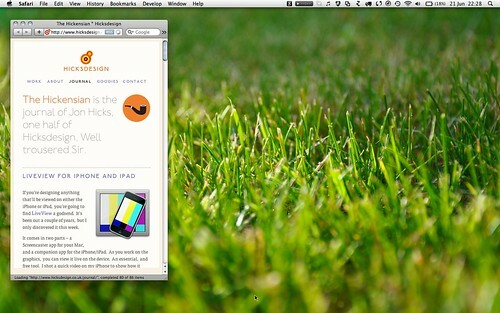 *New Change (4.5.06)*- Improved the smoothness of the Safari-esque buttons. Please re-download and re-install to get the improved icons. As before, if you want to pick and choose which icons you want to install, all the original files are included, as well as goodies folders of applescripts and sample workspaces. Don’t forget to back up Omniweb first. I’m still slowly doing site updates, bit by bit, and one of the changes I want to make is refreshing the desktops I have on offer. These are 3+ years old now, and they need updating to new identity. I have a question for anyone listening – do I really need to supply all the different resolution versions like Veer do My Intention is to design them to be centred – so that it doesn’t matter if edges are cropped. Is that enough? Let me know if I’m missing a trick here! Here’s another of those small steps. I’ve been wanting to dip my toes in the podcast pool for such a long time now, not to bring my droning about OS X browsers to an audio format, but to share music that I’m into. Podcasts are too much like hard work, but I loved the way that Buzz Anderson has done his – ad-hoc linking to single track mp3’s in de.licio.us. So Found Sounds is in effect, a complete and utter steal of his idea, sorry Buzz. Whereas Buzz looks like he’s going to be using Odeo in the future, I wanted to use Textpattern for mine, with Feedburner converting the feed, providing the support for enclosures. I just add a rel=“enclosure” attribute to the mp3 link and away we go. Thanks go to Tom Martin for the method. The criteria of Found Sounds is simple. If a band or record company has provided an mp3 free on their site, and I love it, it goes in. Occasionally, there may be crossover with those provided by 3hive, but I hope to avoid repetition if possible. So, here’s the first post, here’s the second post, and here’s the feed to grab for it. Feel free to use the comment fields on each post to tell me what you thought. I’m not writing a book. I’ve been toying with the idea of self-publishing for a couple of years now, but it’s come to nothing. I’m not preparing to speak at any conferences (although I am on a panel at @media). It has to be said, speaking is not where my skills are. I’m not redesigning my branding and site, although I desperately want to. I have various ideas, but after sitting on them for a week or two, I always reject them. Then everytime I see another leaf logo, I get embarrased that I haven’t done anything about it yet. What I am doing is working for Attap (which stands for ‘All things to all People’). As well as Riffs (which I worked on) and PersonalDNA (which I did a little work on), with another site to follow, as well as the biggie project LifeIO. My favourite part so far was the Attap ‘wee guy’ logo as he/she is affectionately known. It came together very quickly (once I’d turned the ‘a’ on it’s side). I can’t say more about LifeIO than what the holding page does, except that I’m very excited to be given the chance to a project like this. It’s design is something to really get my teeth into. I know the amount of web apps being released is getting past silly, to the point where apathy is setting in. Barely a day goes by without another ‘Sign up, and we’ll tell you when we’re ready to Beta test’ goes by, or someone else drops the last vowel in their name. Its a harder market to release apps into than it was when Basecamp or Flickr started. This doesn’t put me off though, it just makes it more a challenge to do the best job I can on LifeIO. I am also getting psyched up for another SXSW. I fly out next Thursday with other Britpackers, and I am so looking forward to it, despite my usual find-it-hard-to-leave-the-family-behind sadness. If you’re there, please come and say hi! I’ve also been trying out Feedlounge and Wordpress (not as a replacement for this site, but as a CMS for a new site). More on those soon! No, not another meme. It took my wife to remind me that last weekend marked four years as a freelancer. 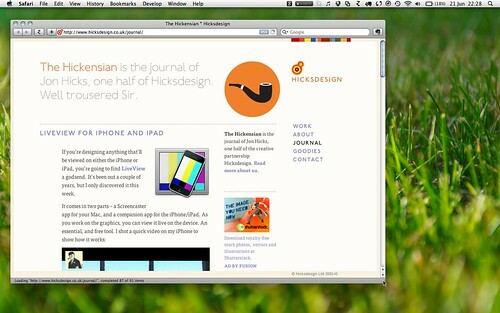 Four years under the name Hicksdesign. I can’t believe its that long, it feels like only yesterday that I took that leap. You would be working A LOT. More than you thought. That you have to keep a photocopy of each VAT return – not just a printout from your accounting software, but of the actual return. Whoops. That strange distant mumbling is the sound of you talking to yourself. That in the first couple of months I would be so nervous and lacking in confidence that I would be sick. Never mind, I soon found out. I have to say, that I would never have gone freelance, or have survived so long, if it wasn’t for an encouraging, understanding and completely supportive wife. I tried hard to make that last sentence not sound trite, or like some embarrassing acceptance speech, but its the truth. Do I blog for profit, backhanders or Scotch Eggs* ? Sometimes I’ve been sent ‘stuff’. Mac apps, BBEdit window stickers, someone even sent me 4 CDs from their record label! I often get asked to link to, or promote, something. Sometimes I’m fortunate to have been a beta tester for various apps – desktop or web based. I love getting a sneaky peek of things, and having an opportunity to make suggestions. I don’t always like them or find them worthwhile. You don’t get to hear about those (and there are quite a lot). Sometimes I see something that I love, and I do want to use. I like it so much that I want to tell others about it. You get to hear about those – those are the things I like writing about. Its taken me much deliberation before I even added Google Ads to a side-project ($4 over 3 months!! Wahey!!). My point is: I don’t hype for the sake of it, or because I get some ‘deal’. I resent any implication of that. I just pimp things that I like, and that I want to tell others about. There’s never anything ‘in it for me’. The office is closed on Fridays? This line in my contact details often raises a smirk, usually combined with a sarcastic “Enjoy your day off”. The word ‘Part Timer’ is inferred, but never uttered. So why is this? Do I just work a 4 day week? I wish it were true! When I first took the plunge to go freelance, there was one thing driving it. Samantha had been born 6 months previously, and Leigh’s maternity leave was nearing an end. She managed to get a 4 day week so that she could look after Samantha on a Thursday, but we still didn’t want her seeing more of nursery than of us. Nursery is a great environment, they learn social skills, have more riotous fun than they could at home, and pick up enough illnesses to make their immune systems as tough as old boots by the time they start school. However, Nursery is not a parent. I had been thinking about freelancing for a while, but this was the catalyst. So the plan was hatched – going freelance would give me the flexibility to help out. Originally I had Samantha for 2 days a week, but the work just wasn’t getting done, even though I was working weekends. After a few months, we settled in a routine of Mummy on a Thursday, Daddy on a Friday, and work weekends/evenings to make up time. So there you go. If you’ve ever wondered what I do myself on my day off, I’m looking after the wee ones, a 2 year old and 4 year old and its a rewarding time without a doubt. I am finally back in the land of the real people, and renting deskspace at a local print design company. I have my own little corner, but still have other creatives to talk to. I think it was Dave Shea who recently advised freelancers to never work from home, and I can see why. My productivity has really improved since moving out (and Daniel can finally have his own room). In the end, I discovered that there is no one app that will cover all of MYOB’s functions, so there’s a gap in the market there for an indie developer to get their teeth into! Instead, I decided to hire an accountant to do my bookkeeping, and have gone over to iBiz for my project management/invoicing needs. Don’t let the name put you off, this is a great app. While its not perfect, and Billings definitely has the better interface, it offers vital features such as invoice customisation and being able to start invoice numbers from a number other than 1. It integrates with iCal and Address Book, and makes emailing invoice pdf’s a snap. Its the one I wish I had when I first started freelancing. To pep up its interface, removing the metal with Unifier instantly makes it a whole lot nicer to look at. I like metal, but I think this is one instance where I think its irrelevant. OK, so run Safari as your RSS reader for a while, and it does start to slow down, even if you set articles to be removed after a day or week. Once more, Safari becomes unresponsive – click a tab, wait for it show. I’ve whittled my feeds down to about 200, but even then, “View all RSS Articles” increasingly becomes a drag. That whole clicking twice thing is starting to grate too. 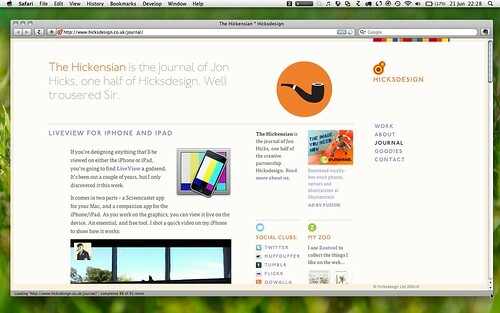 For reasons I just can’t fathom, Hicksdesign is a nominee in this years Webby Awards in the blogs category. Its a huge ego boost, and I expect the phone to ring very soon with offers of local superkmarkets that need to be opened. Think of all the cheese I could buy now! Who am I up against? Amongst others, the glorious photo blog The Snowsuit Effort, and the one that undoubtedly be the winner, Flickr. Its a foregone conclusion, but nice to be nominated all the same, and I won’t let the fact that I don’t deserve it get in the way of enjoying the honour! Please note : This is an old post – and I have since found a good office – thanks! A window too look at outside land. Sharing with other creatives would be ideal, but not essential. I’m very clean, and come with my own furniture if need be. If you do happen know/have somewhere available, please let me know. If you don’t, please spread the word anyway. Well jigger me sideways into a stove pipe hat. It would seem that someone has nominated me for the ‘Best British or Irish Weblog’ category in this years bloggies! I’m up against the likes of Tom Coates though, so I may have to concede and buy my own four fingered Kit-Kat. What a heart-warming piece of news for my first day back at work, thankyou to whoever voted! Russ Weakley of the Web Standards Group, a man known for only ever having 10 questions, has been directing those questions at me. You can now read the result, talking about how I got into web standards design and why I’ve got this thing about browsers. The current issue of Computer Arts Projects (“Typography”, #57 April 2004) features an article on icon design, which includes a couple of excerpts from an interview with me, next to luminaries such as Susan Kare and Gedeon Maheux (Iconfactory). I feel like a bit of an imposter next to these gurus, but its real nice to get my first ‘real’ bit of press. I could hardly believe my eyes when I was told I was the latest recipient of a web standards award. I’ve been following the progress of the awards keenly, which has featured personal favourites Jason Santa Maria and Shaun Inman, but I never thought I’d ever be up there too. Thanks Andy, you’ve made my year. Justin Goodlett (AKA Skinny J) has just posted another in his new series of interviews with designers. This time it was me that was being grilled about web standards, Firefox and freelancing. Read the result here. The main joy this year was the birth of my son Daniel (my mini-me) back in April. We are now a family of four. Being linked to by Zeldman, Shea and everyone else kind enough. I’ve been overwhelmed by the sense of community and just plain nice folks out there. Finally getting an iPod. As our American cousins would say, ‘It rocks’. It goes with me everywhere, in the car, on walks, even the loo. My life now has a soundtrack. Stopdesign. This is the site that started to road my web standards. add <fieldset> tags around form elements. (You can actually use p, h1 etc, to validate, but fieldset makes more sense. The last 2 were leftovers from the original Movable Type templates. In a matter of an hour the site was converted. The search and replace function within Movable Type meant I didn’t have to go through every entry individually.